It’s unfortunate, but true, that many of us have a mindset that believes we’re only as valuable as others agree we are. And it’s these types of limiting thoughts that keep us from realizing our potential. In this episode of The Brain Warrior’s Way Podcast, Dr. Daniel Amen and author Guy Finley discuss how we can use patience to reject this type of thinking and cast off our self-imposed chains. 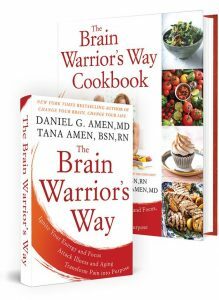 Dr Daniel Amen:	Welcome to the Brain Warrior's Way Podcast. I'm Doctor Daniel Amen. 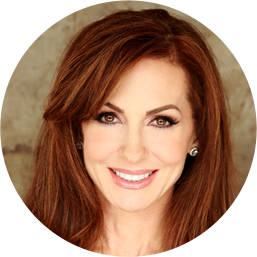 Tana Amen:	The Brain Warrior's Way Podcast is also brought to you by Brain MD, where we produce the highest quality nutraceutical products to help support the health of your brain and body. For more information, visit brainmd.com. Welcome to the Brain Warrior's Way Podcast. Dr Daniel Amen:	Welcome back. Here with Guy Finley, internationally best selling author, teacher. We're having a really interesting discussion about your relationships and why you react the way you do and may in fact have nothing to do with the other person. And it may have nothing to do with the moment that you're so upset. Guy Finley:	We're talking about developing the capacity to have a waking relationship with our own brain, our own heart, and our own body. A waking one. So then instead of being passive to unseen instructions like they shouldn't treat me like that, why is the world this way? Instead, we're present when the reaction takes place. Dr Daniel Amen:	I so had that though. So, you know what we do here at Amen Clinics is we look at people's brains and I'm a traditionally trained psychiatrist. I trained at the Walter Reed Army Medical Center and I loved it but, you know psychiatrists are the only medical doctors who never look at the organ. They treat. And before I went to medical school, I was an x-ray technician in the Army and our professors used to say, "How do you know unless you look." Guy Finley:	I like that. Dr Daniel Amen:	And I started looking. First in the Army and then after I'd started our first clinic and I loved it. It was so helpful. It really helped me get into that biological circle and I saw things like traumatic brain injuries; a major cause of psychiatric illness and nobody knew about it. I saw that marijuana is not a health food. That it's really hurtful to the brain and I was so excited. I was like a little kid and I started sharing this with the world and my colleagues, [inaudible 00:02:43], started attacking me and calling me bad names. I'm a charlatan. Dr Daniel Amen:	I'm like all these things and it pissed me off. Made me anxious and so even now, I can get triggered fairly quickly because it's been traumatic. So I'm thinking to myself, how can I use relationship magic and the thing that helped me was understanding people who try to pioneer anything new, their profession tries to kill them almost immediately because they're protecting the status quo. Guy Finley:	That's exactly right. Dr Daniel Amen:	Max Planck, who's the famous Nobel Prize physicist said, "Progress in science happens through funerals." So it's not by having a great new idea. It's you have to sort of kill the old guard off so that the young people that see the new idea. But personally, it was so fricking hard. Dr Daniel Amen:	I have to keep my license. Guy Finley:	Exactly. All that's involved. At a level that you work and live that I don't have to quite go through although I'm kind of an outcast in my own world, as I am. But the point is, what if I discover that there is no end to the need for wanting people to approve of me. Which means that I live in a kind of constant compromise of trying to present what it is that I know is true, in a way that someone else is gonna go, "Yeah, that's good," so I'm validated. What if I threw out the whole idea of needing to be validated by friends or family so that I could be an authentic, integrated human being, who as you've discovered, when we find our own way, then everyone else will find our way too. Because now they understand there was something behind that and thank God that man, upon whose shoulders now I will stand, I didn't know that he was standing on the shoulders of a similar understanding, which was what? I'm not going to let what the world thinks about me determine what I do because if I do, it's the world that's living my life, not my love for what I do. Dr Daniel Amen:	Vernon Howard said something. It's like letting other people make your decisions. Guy Finley:	Here's the quote. "Permitting your life to be taken over by another person is like letting the waiter eat your dinner." Dr Daniel Amen:	That's it. I love that quote. Guy Finley:	That's what we're talking about. Only we never realize we're all the time letting the waiter eat our dinner, meaning letting this reactive brain, this mind, cast out what it does. Catch us with some form of identity interconnected to the way it's working and then telling us who we are and what we can do, including in our relationships. Because, the magic part of this book has to do with the fact that we are alchemical beings. You know this very well. That there is a consistent way in which we can use the very constituent elements, not just of our biological health but of our psychological and spiritual health. To bring a new understanding into the moment so that in the new understanding, a transformation takes place. First in myself and if it takes place in me, Danny, then by a kind of jui jitsu of love, my partner has to respond to me differently 'cause I'm no longer reacting in the same way I always did. They're gonna go, "What's with you? What's happening? Why aren't you fighting?" As an example. "Why don't you want to fight?" Dr Daniel Amen:	So, when I see couples and often, I have a sense, but it's often the woman and the guys not coming. And people will say, "Oh, well it takes two to change a relationship." And I'm like, absolutely not. It takes one. Guy Finley:	It takes one. Dr Daniel Amen:	Right. 'Cause if I can get her, or sometimes him, to respond in a different way it changes the quality of the relationship. Guy Finley:	I think it's the Heisenberg Theory. The observer changes what's observed and the observed is changed by the observer. In relationships, it's the same thing. If I'm in a situation, where let's say I'm in a pattern of fighting, and we fight because we don't see it, you bring to me something you're unhappy about me. Danny, you don't bring to me what your unhappy about unless you're in pain. The only way I tell somebody I'm unhappy with them is they have stirred in me a pain. Now when you stir a pain in me, you're not aware of the pain in you. You just want me to be what you need me to be so you can stop being in pain. And then what do I do when you bring that pain to me? I respond in pain. I can't do anything other than that. The reaction is, you've pushed. The response is push back. So you have resistance to the condition, but I don't know, Danny, that you're in pain when you talk to me. All I know is the pain I'm in. I actually don't know my partner who is saying there is something wrong with you. I don't really know they're in pain. All I know is the pain I'm blaming on them. So what happens in that moment? And I know you'll like this because it'll go right with your little things. Do you know the original meaning of the word patience? The old, old meaning of the word? Dr Daniel Amen:	I don't. Guy Finley:	To suffer myself. What's more beautiful than that? So here my partner pushes. Pain responds. But now I understand the pain is a reaction. It's part of the brain, part of the way in which this nature protects itself, but I don't want to be part of that protecting, fighting nature anymore. I really want to know what love is. So I patiently endure my own pain. I suffer myself. And if I do, my partner's going to look at me like, "What's wrong with you? Why aren't you causing me to feel what keeps this pattern going?" And to what you've said, because I've decided it's time to change. No one wins a fight. If we understood that, the world would be different. Our partnerships would be different. No one wins a fight. If I get it, then I get in that situation, I feel the fight coming up in me, and rather than going with the fight, I choose freedom. I want to have my own understanding of this moment, not what this moment is telling me is true about myself. Dr Daniel Amen:	I so wish Tana was here. Guy Finley:	That's magic, Danny. Dr Daniel Amen:	When we come back, let's talk about some specific situations that people can use this information. 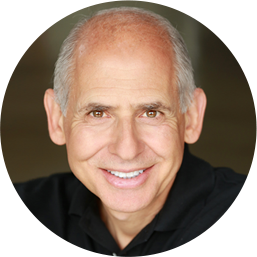 Dr Daniel Amen:	Relationship magic, with Guy Finley. Stay with us.